Posted by Michael La Prairie on Thursday, October 11th, 2018 at 6:18am. The P.E.I. Real Estate Association says Islanders hoping to take advantage of the province's new down payment assistance program will likely need to do their house hunting in rural P.E.I. The program was officially launched Tuesday, with more details on who can now apply for an interest-free loan, and for how much. Government says first-time home buyers with a household income of up to $80,000 will qualify for a loan to cover the five per cent required down payment. But that's only on houses that are $225,000 or less. "How many houses are really for sale for $225,000? There are some. But they're all mostly in more rural areas," said Greg Lipton, the association's president. "Every once in a while, you come up with one in city centres that can reach that. But that will need a lot of fix-ups too. So it'll be interesting to see how it all works together with that." Finance Minister Heath MacDonald acknowledges that given the low supply and higher prices of homes in the Charlottetown area in particular, loan applicants may need to look to the country. "So there may be a possibility to develop those [rural] communities along with this program," said MacDonald. Government is committing $1 million in loans to the program, which will be administered through the provincial Crown corporation Finance PEI. MacDonald estimates that will cover somewhere between 120 and 140 loans. He says his department will review how things are going in a few months, to see if it needs to change the income and price limits. "If there's a weak response, maybe we do have to move it. If there's an overwhelming response, maybe we settled on the right figures," he said. "But I'll assure you, if we need to make changes, we're going to make changes." The down payment assistance program was first announced this summer, as part of the province's housing action plan. Government's hope is that if more people can buy a house and get out of renting, that will ease some of the pressure on the rental market, which has a vacancy rate in Charlottetown less than 1 per cent. 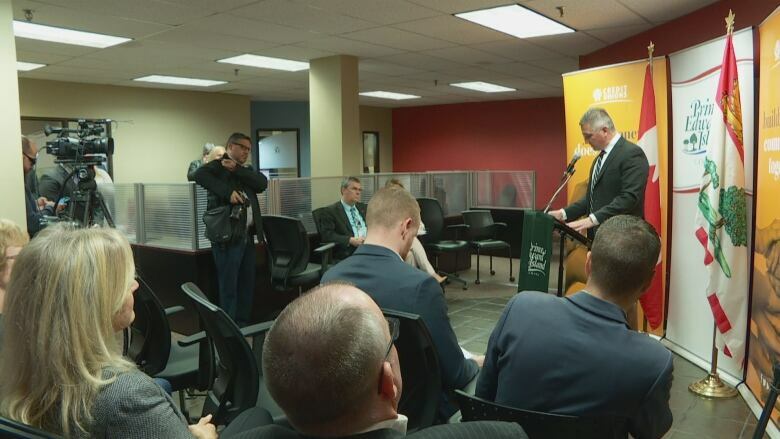 MacDonald says Islanders will be able to apply for a down payment loan online or at the Finance PEI office, until March 31, 2020, or until the $1 million runs out — whichever comes first.